Bolling, G. Fredric, and Valerie A. Withington. 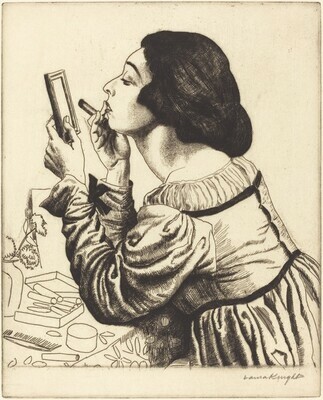 The Graphic Work of Laura Knight, including a Catalogue Raisonné of Her Prints. England: Scolar Press, 1993, p. 115, no. 34.